The Best ICO Consulting Company - ICO Service Inc.
An extremely efficient and qualified team, ready to assist you with launching your ICO project. We help to carry out the essential product maintenance and offer solid technical support. Choose transparency, reliability, and security. At ICO Services, we are here to assist you with all aspects of your project. With transparency being a number one priority with most upcoming ICOS, we will ensure your blockchain based project is set up in an optimal way to allow all users to feel safe and secure investing in your project at the ground level. We provide your ICO with support from the beginning, right through until the end of your project. You will also receive expert consulting throughout the roadmap implementation process. We are here to make things easy while we do all of the hard work for you. No matter what you need, we will be right there with you. We guarantee the full-cycle security audit of all smart contracts is done while using our services. We will make all smart contracts compliant with any new and updated technologies. With our services it will be easy to protect your company from fraud and/or crucial errors. At ICO Services Inc. we strive to be the best marketing agency in the cryptocurrency space. With our team of technologically driven marketers and advisors our mission is to not only assist you with your project, but to develop the modern ecosystem of crypto currency as a whole. Our agency prides itself on having experience leaders in the cryptocurrency community that have a focus on building the ecosystem, that look to not only advise our projects, but to also potentially enlist substantial investors ready to be a part of industry changing ICOs. We provide you with an entire roadmap that is guaranteed to allow your project to meet its full potential. With a focus on marketing, token launch development, and most importantly community building, ICO Services understand, develops, and meets the needs of each and every partner. The first step to any successful ICO is making a draft of your campaign. You will need to provide us with a step by step process of your campaign. We understand that you may not have all the information we may request, it is not necessary to provide all information at once. Once your campaign is ready and verified by ICOService, you can mention it in online media and lead traffic to your startup. We implement fully functional smart contracts, securing proper execution on the public blockchain at its permanent address, compliant with ERC20 specs. Our full-fledged solution with KYC helps distinguish trustworthy users and manage flawless payment processing. Make your ICO campaigns successful with the MULTIVEST Pro portal to organize the token generation and distribution process in an integrated manner with the option of contributing and tracking previous transactions. The optimal usability of the contributions flow will make the transaction process comfortable and simple for contributors. We provide individual full-cycle technical support customized to your needs. Our specialists are allocated to ensure strategic support for token design concept, ICO smart contracts, and infrastructure maintenance of the product, as well as immediate reaction in cases of technical necessity during the most crucial phases of token sales. Our advisory team will choose the best blockchain option for your product. Custom PoC service will provide you with insights about blockchain opportunities early on the implementation cycle. PoC design aims to assess potential risks, expectations, and incentives, and to identify technical issues with irrefutable proof for ultimate project feasibility. Implementing blockchain requires a certain paradigm shift and learning curve, which is often hard to achieve without external help. You are already brave for making the decision to launch an ICO. First time ICO’s success rate is rather low, due to the fact they are exposed and susceptible to potential pitfalls with deferred negative consequences, scams, and inefficient investments with various providers that promise to deliver with no avail. Lack of coordination between legal, marketing, and tech teams is another devastating problem many ICO projects encounter that could be potentially damaging to the entire project. ICOServices can assist in protecting you from these common problems by coaching and advising your team in terms of optimal timelines, the sequence of work, and by using our established business relationships within the industry to ensure success. Compliance is a very important factor that needs to be taken into consideration when creating an ICO. Initially you would assume that compliance would take minimum effort, but due to the constant change of regulation you will need assistance. We review companies’ business models and help adjust their business toward the growing blockchain ecosystem, reflecting the grand project plan in a white paper. We provide a white paper with a technical analysis of the project, roadmap implementation design, token economics, and a design incentive contribution model. As an important marketing pillar, the white paper promotes your product by influencing prospective customers’ decisions. Your ICO website has to be up to date, with modern designs and the latest UI trends implemented. With an understanding of the cryptocurrency industry and knowledge of digital growth, our team is here to make your website highly optimized, providing functional, full-stack web design. The collection and evaluation of behavior data, along with statistical analysis, provide accurate insights into the user’s interaction with the project. Before scaling the marketing budget, it’s important to conduct user interviews, create questionnaires, and test traffic channels in order to make efficient business decisions and improve statistics. We use business metrics to identify conversion rates over a specific time frame. Basically, we are considering all marketing efforts across all channels to define your target audience and see how the marketing campaign is performing. A positive opinion of an ICO project is mainly formed through promotion in mass media and social media marketing. We help ICO teams draft project concepts and reinforce qualitative relationships between key audiences and investors with an elaborated marketing strategy in hand. Through our networks, we provide expert marketing support for business projects at all stages of ICO implementation. A credible ICO launch depends upon the combined aspects of project analysis and research, lead nurturing, and community management. We utilize efficient PR and social media tools for creating a successful ICO advertising campaign. The potential of your tokens depends upon their listing on popular exchanges. 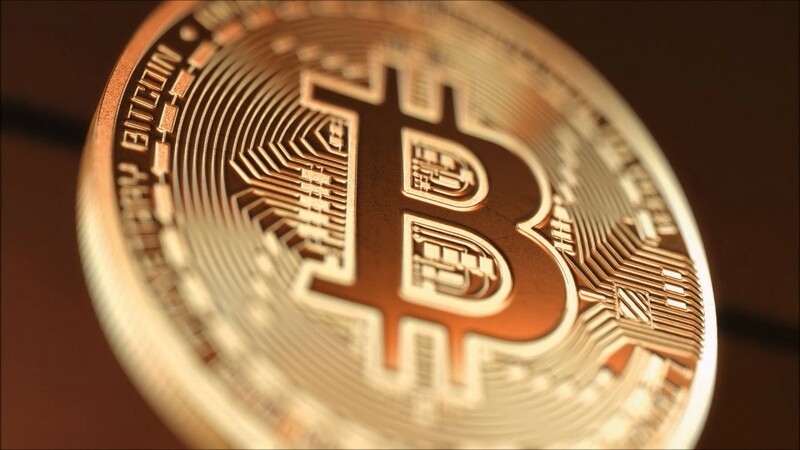 This factor has a huge impact on investors in terms of the digital currency’s price. In order to get a token listed on the exchanges, it is necessary to discuss technical specifications. We take care of the process of exchange agreements to help you concentrate exclusively on your project. Feel confident in the financial future of your project with key business partners and investors. We connect companies with investors’ groups to raise capital for projects, providing financial resources for businesses. We will help you lay out the business propositions for bulk investors, and expand networks within the funding process. Say you’ve got a deal with larger funds, and you are expecting a large transaction to come through. We will help you with the security of the receiving wallet, and represent you in technical questions in your meetings and negotiations with counterparties to ensure confidence during deal negotiations. You have announced your intended ICO to early adopters via social networking sites and relevant forums. What’s next? What about the mainstream world from business journalist to investors?